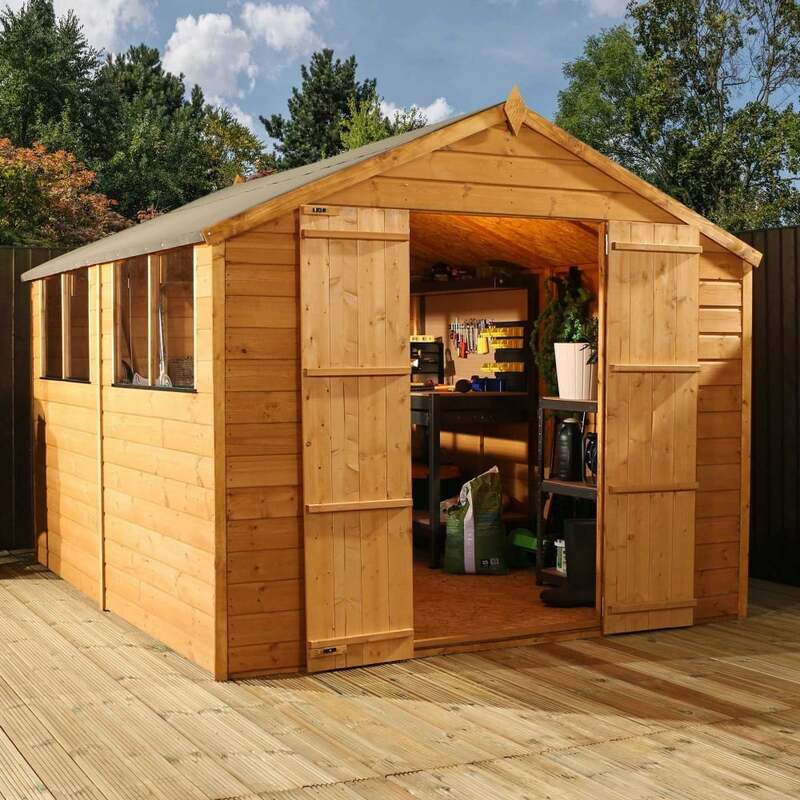 Mercia 10 x 8 Shiplap Apex Shed Double Door: The Mercia shiplap shed is a stylish and high quality design at an reasonable price with ample storage space to store your garden equipment and bicycles. The 10 x 8 apex shed is made with FSC certified, 12mm tongue and groove shiplap cladding, the interlocking design makes for a sturdy design to prevent water access. The Mercia apex shed features ledged double doors for added strength, easy access and four styrene glazed windows providing the interior with natural light. The 10 x 8 garden shed is delivered flat packed for easy self-assembly and includes a 10 year anti rot guarantee.